What does it take to build wealth that lasts? 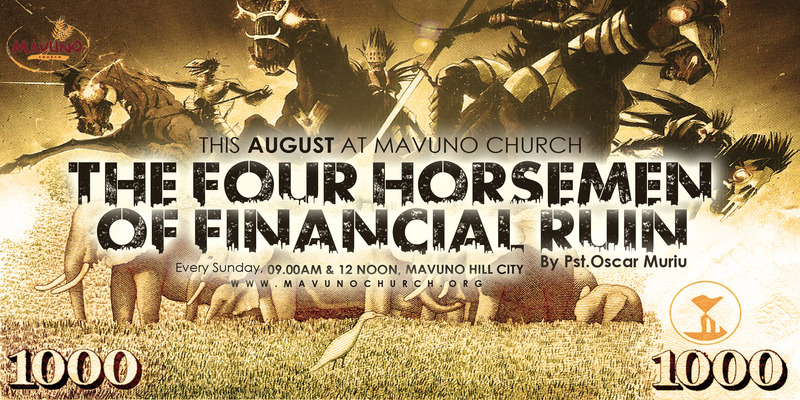 MW: Good morning/afternoon Mavuno! How are you guys doing? It’s really great to be back home! Pst Carol and I have been away speaking at Nairobi Chapel this month, speaking about marriage and it went very well. We really did have a great time at Chapel, but all through the month I was thinking about Mavuno. I love this church and it is difficult being away from you guys – I just thought you should know that 🙂 Anyway, we kept hearing phenomenal reports about all the things going on here, and I couldn’t believe I was away! Throughout this month we have been celebrating 9 years of life-change at Mavuno. How many people can truthfully say – ‘my life or my family have been dramatically transformed for the better because of my being part of the Mavuno family?’ Come on, let’s celebrate God together!